Two of Andrew’s poems have been published in the new Brandl & Schlesinger anthology, Falling an Flying: Poems on Ageing. The editors, Susan Ogle and Judith Beveridge, chose Andrew’s poems “Meditations on Pain” and “Us2″ for inclusion. Falling and Flying: Poems on Ageing – is the first collection of its kind to be published in Australia. 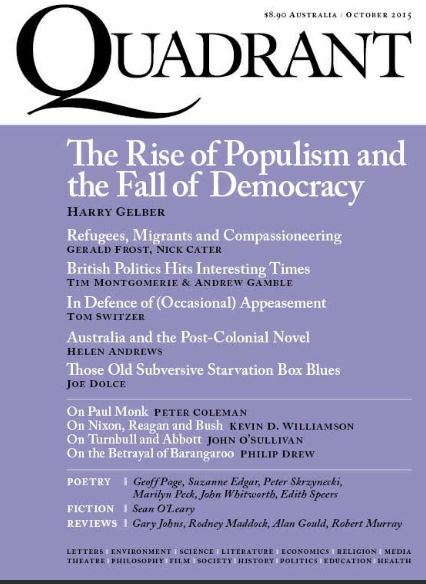 The editors have selected a broad range of Australian poems which explore the universal experience and effects of ageing. Whether the poets are witnessing themselves or their parents and friends succumb to the years, they speak with great precision and insight into illness, frailty, death, loss, grief and retirement as well as the joys and the wisdom that late maturity can bring. There is humour as well as sadness in this fine and important collection, which includes the work of some of Australia’s best loved poets, a volume to be cherished by readers of any age. Dr Susan Ogle is a Clinical Associate Professor of Medicine and geriatrician at Royal North Shore Hospital, Sydney and has recently completed a Masters of Medical Humanities. Susan has been interested in medical education for many years, using literature (stories and poetry), patient and family narratives and role play. She is co-editor of Reflection, the humanities section of the Australasian Journal on Ageing. Her poetry has been published in literary and medical journals. Judith Beveridge is the author of six volumes of poetry, most recently Devadatta’s Poems and Hook and Eye. She is the poetry editor of Meanjin and teaches poetry writing at postgraduate level at the University of Sydney. She has won many prizes for her poetry including the Philip Hodgins Memorial Medal and the Christopher Brennan Award. Her work has been studied in schools and universities and has been translated into several languages. The New Zealand journal, Valley Micropress, published one of Andrew’s poem in its November/December 2015 (Vol. 18, No. 10) issue. 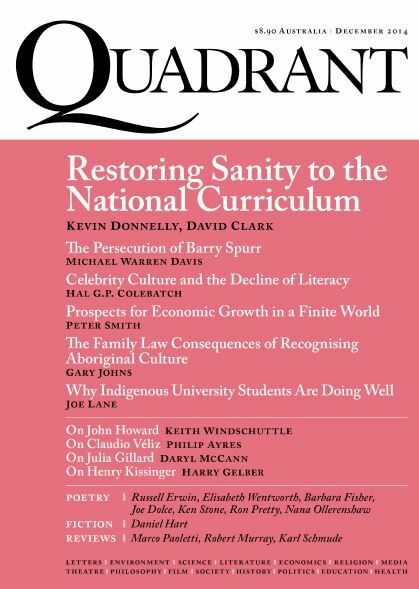 The poem, “Forgetting-Grass” (not to be confused with Andrew’s poem of the same name published in The Weekend Australian newspaper in January 2015), was first published under the title “The Forgetting-Grass Enigma” in the January-February issue of Quadrant magazine. The Mozzie published one of Andrew’s poems, a tanka titled “Conformity” (although the title was inexplicably missing! 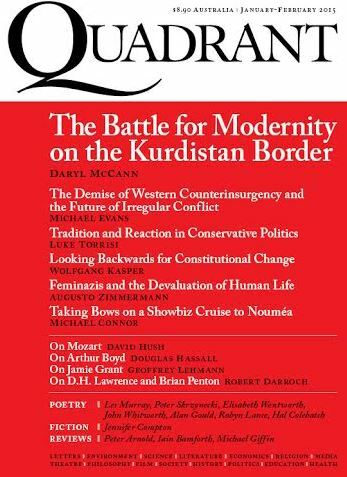 ), in its November 2015 issue. Andrew will read at the WA launch of the Inkerman & Blunt anthology, Prayers of a Secular World. The Mayor of Fremantle, Brad Pettitt, will launch the book on behalf of the publishers on Saturday, 24th October, at 4.00 pm, in the Back room of the Bar Orient Hotel, 39 High St Fremantle. Andrew is represented in the anthology with the poem, “Forgetting”, and this is the poem he will read at the launch. Andrew is one of the poets represented in the latest anthology by publishers Inkerman & Blunt. Prayers of a Secular World is edited by Jordie Albiston and Kevin Brophy and contains 100 poems by new and established Australian poets. Six of Andrew’s poems have been published in the October 2015 issue of FreeXpresSion magazine. The poems have been reprinted from Andrew’s books, Gestures of Love: The Fatherhood Poems (Wombat Books, 2013) and Inadvertent Things: Poems in traditional Japanese forms (Walleah Press, 2013). filled me with yearning for you. of our courtship and marriage. the slow dark river at dusk? their reflection as they drank! The Canberra Times newspaper published Andrew’s poem “Notch” on 15th August 2015. On 31st August Andrew addressed the Retired Teachers’ Association. He spoke about his writing generally and read from his children’s poetry collection, Allsorts. In September he co-judged the Spoken Worship Brisbane Poetry Competition, the winners of which were announced at a ceremony on 10th October at the Anglican Cathedral, Brisbane. The last two issues of The Mozzie magazine have published poems by Andrew. The July 2015 issue contains his poem “Forgetting-Grass”, while the August 2015 issue contains his poem “Of Petals and Poets”. 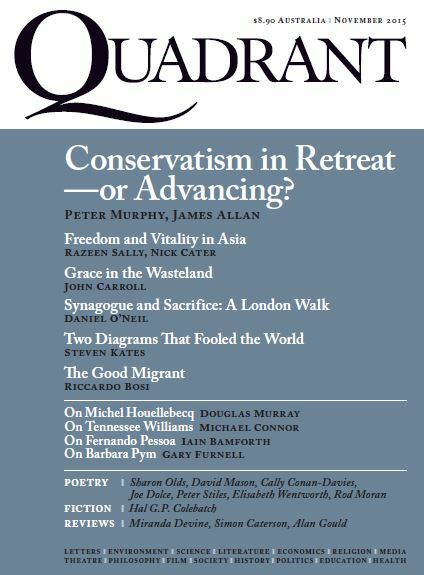 Five of Andrew’s poems have been published in the July-August 2015 issue of Quadrant. They are “The Small Souls”, “Memories of War”, “Of Petals and Poets”, “Nothing” and “Wasp and Water”. The poem “Of Petals and Poets” is from Andrew’s forthcoming collection of poems and photographs, provisionally titled Kyoto Sakura Tanka. The poems in this new collection, which will be published by Wombat Books, are all tanka (or, to use an older designation, waka), which is appropriate for a collection of poems (along with photographs) set in Kyoto in spring and focusing on Japan’s renowned cherry blossoms. Andrew has been invited to read at the Perth Poetry Club on Saturday 20th June at 2.00 pm. The Perth Poetry Club meets at the Moon Café at 323 Williams Street, Northbridge, from 2.00 to 4.00 every Saturday afternoon. Andrew launched Shane McCauley’s latest poetry collection, Trickster, at the Fremantle Arts Centre on Saturday, 6th June. Shane McCauley is a widely published and highly respected Western Australian poet. Trickster is his collection of poetry and is published by Walleah Press (Tasmania). Over 100 people attended the launching, including well-known poets Fay Zwicky, Dennis Haskell, Roland Leach, Kevin Gillam, Annamaria Weldon, Tracy Ryan and John Kinsella. To top off a marvellous gathering, 75 copies of Trickster were sold, which is an outstanding achievement at a poetry book launching! The three photographs posted here were taken by Andrew’s wife, Susan and are used by her kind permission. Four of Andrew’s poems have been published in in the latest edition (No. 5) of Regime: A Magazine of New Writing. Announcing with pleasure Regime 05, The Poetry Issue, which has been edited by renowned poet and Regime Contributing Editor Andrew Burke. We’re proud to present a collection of the best contemporary poetry and poets currently at work in the world. In this latest issue of Regime, you will find new work from Andrew Taylor, Andy Jackson, Annamaria Weldon, Jill Jones, Judith Rodriguez, Geoff Page, Amanda Joy and Andrew Lansdown. Andrew’s poems in this latest issue of Regime are “Concerning the Perils of Cherry Petals” (a 5-haiku gunsaku), “Gazing at a Geisha”, “The Stilt’s Sobriquet” and “Family Restaurant Tanka” (a 4-tanka gunsaku). her mother follows, square on square. 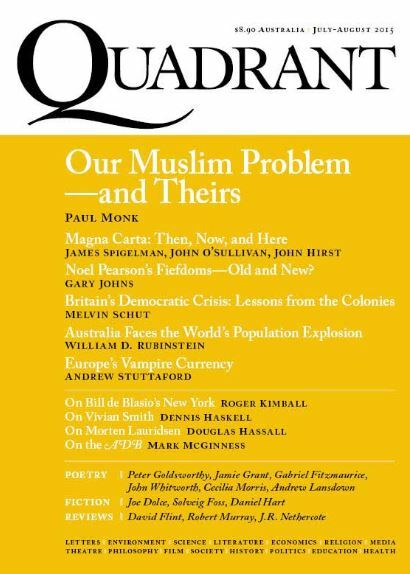 The June 2015 issue of Quadrant contains Andrew’s poem “Silver Pendant”, which consists of three tanka, “Fallen”, “Assumption” and “Lost”. 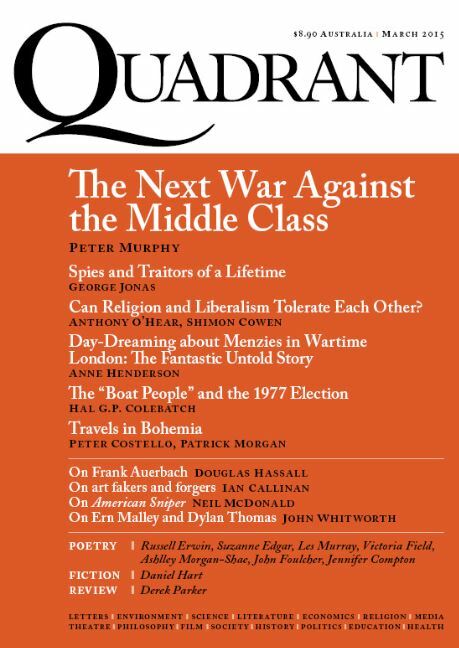 Quadrant has accepted a further five poems from Andrew for publication later this year. Andrew will launch Shane McCauley’s new book, Trickster, on Saturday 6th June. Trickster is Shane’s eighth book of poetry and is published by Walleah Press in Tasmania. The launch will take place in the Pavlich Room of the Fremantle Arts Centre (1 Finnerty Street, Fremantle) on Saturday 6th June at 2pm. Come and hear Andrew. More importantly, meet Shane and hear him read from his new collection. Copies of Trickster will be on sale for $20. this poem at Hozen Temple. is the way the wall-stones look. brother, than the blue forget-me-nots. treasured by the ancient Japanese. from the loss of you and how you went.